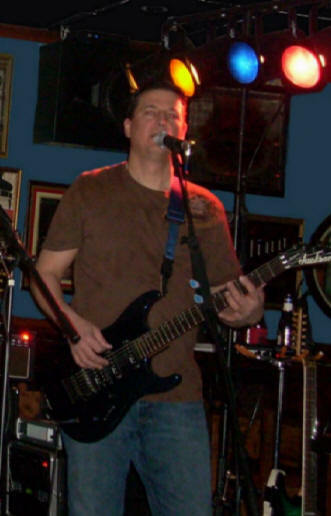 Steve has been on the Buffalo music scene for several years. He has lots of experience and was the founding father of Madd Capp and Cohencide. Back in the day, he and Colin played together. Steve and Blind Vision have known each other for several years and now finally get a chance to get together and see what happens. We know you won't be disappointed. Steve is a perfectionist with tons of ideas and a knack for highlighting the details. Mark has been with Blind Vision since the beginning. The band started out in in 1993. The lineup has changed several times over the years, Mark being the last remaining original member of the band. Mark's main axe is his Ibanez S540FMTT LTD in a translucent green sunburst. His tone comes from a Genz Benz El Diablo Tribal 60w Tube Head. The Genz Benz is cabled to a 2x12 Vertical Slant cabinet loaded with Celestion Vintage 30's. Mark retired the old Digitech Floor Processor for a more traditional setup of analog Stomp Boxes mounted in a homemade Aluminum Pedal Board. Mark's main job is keeping the band together with solid rhythm along with the Bass. He and Mike compliment each others playing perfectly. 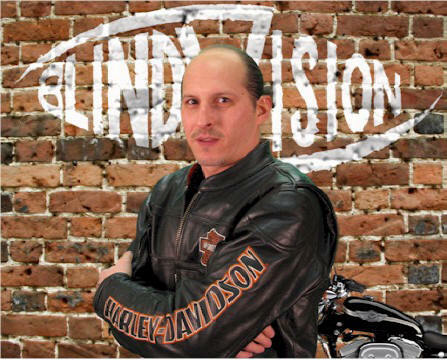 Mike joined Blind Vision a few years after the band had formed. He took the place of one of the guitar players and the keyboard player when they left the band in 1997. Mike is a seasoned player with an appreciation for attitude and fire. He is an aggressive player who's mission is to unleash the caged animal inside through the guitar. Influences include David Gilmore, Jimi Hendrix, Joe Satriani and Michael Schenker. He has a heavy blues-based approach and likes to let it rip when it fits the song. His "play first, ask questions later" attitude often leads to some controlled chaos on the unsuspecting ear. Mike plays several guitars but favors his burgundy Gibson '67 reissue Flying V. You might see a Strat, an Ibanez or Charvel up on the stage as well. This goes to a Marshall JCM800 1/2 stack, with some basic stomp boxes in between. 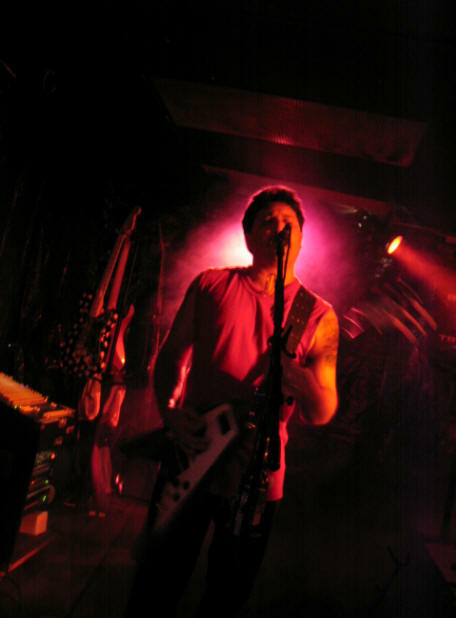 Mike was one of the top 5 finalists in the 2003 WNY People's Choice awards for Best Rock Guitar Player and is often nominated in the Buffalo Music Awards. Colin's musical background goes way back (that means he's old as dirt)! He took five years of musical training at Edwin's Music Store from 1969-1973. He's been playing in the Buffalo bar scene ever since. Band genres include Southern Rock, Top 40 and Rock & Roll. At one point in Colin's career, he was playing full-time, up to five nights a week. His interests now and for the last four years have been Alternative music. Some of Colin's band accomplishments are winners of the Best New Group Runner up at the Buffalo Music Awards in 1991. Also in 1991, Colin's band won New Pop/Rock Group given by The Night-Life People's Choice Awards. In 1992 his band won Top Rock Group at The Buffalo Music awards. Colin's personal best accomplishment to date is winning Best Rock Drummer in 1997 with Blind Vision!!! 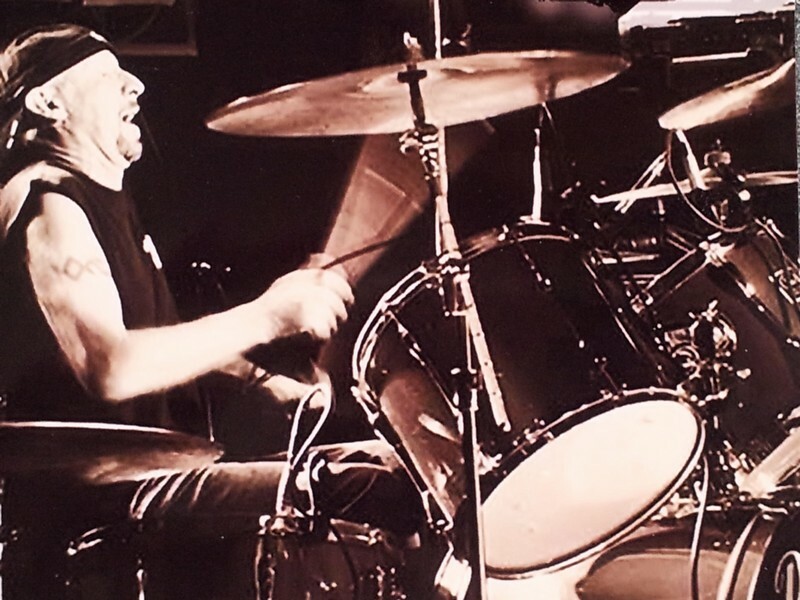 Colin was one of the finalists in the WNY 2003 People's Choice awards for Best Rock Drummer. One other project that Colin is working on is doing his version of a drum solo called "The Corn Belt Jive". He was offered to do this project by retired B/P/O Percussionist Lynn Harbold. Lynn is putting together a collaboration of recordings from drummers across the Unites States of their version of this solo. Colin is looking forward to going into the studio for this one. As for now, stop out and see the band, have a beer, sit back and let us ROCK YOU!!!!!! Colin plays a bright red Pearl Export Series drum kit mounted on a partial cage. He utilizes one floor tom, two upper toms, the snare and the kick. Cymbals are Zildjian, Paiste and Sabian. They have to be, cuz' be beats the snot out of them!!!! Tommy Herr is a well seasoned soul whos been on the scene several years. He joined the band in November 2017 and we're really glad to have him aboard!! 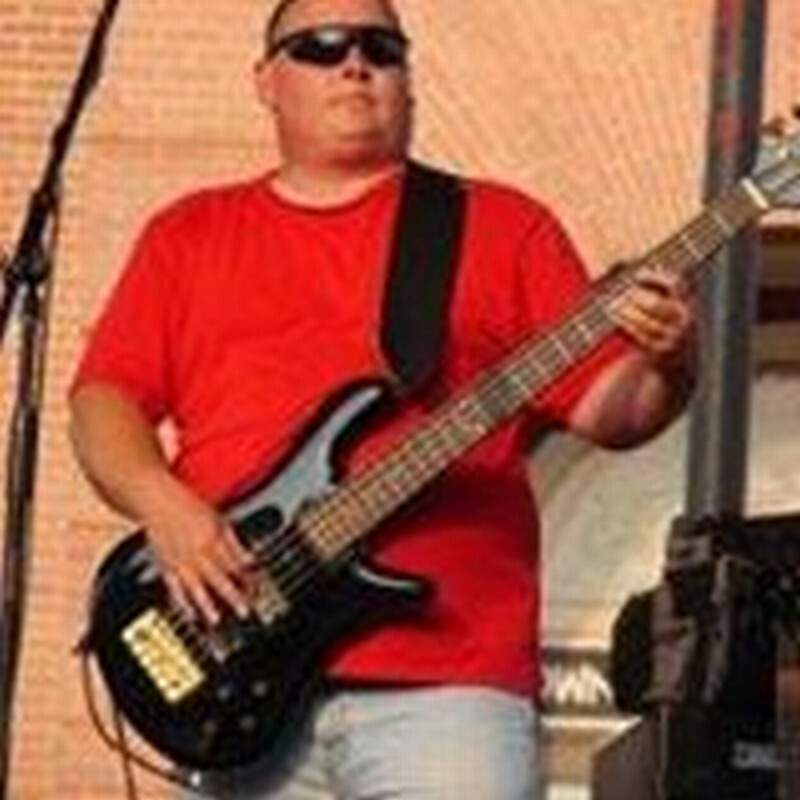 Tom's a fantastic bass player with great lead and harmony vocals. You should hear him do AC/DC!! !